We’d love your help. Let us know what’s wrong with this preview of Guardian Angels and Other Monsters by Daniel H. Wilson. From the New York Times bestselling author of Robopocalypse comes a fascinating and fantastic collection that explores complex emotional and intellectual landscapes at the intersection of artificial intelligence and human life. A VINTAGE BOOKS ORIGINAL. In "All Kinds of Proof," a down-and-out drunk makes the unlikeliest of friends when he is hired to train a mail-carrying r From the New York Times bestselling author of Robopocalypse comes a fascinating and fantastic collection that explores complex emotional and intellectual landscapes at the intersection of artificial intelligence and human life. A VINTAGE BOOKS ORIGINAL. To ask other readers questions about Guardian Angels and Other Monsters, please sign up. By page 9, I was grinning like a kid on his first carnival ride. I love everything out of Daniel Wilson’s mind — it’s fun and it’s fast — and the short story format takes it into overdrive. Thrilling, touching, funny, heartbreaking and scary as hell, there’s nowhere this rollercoaster won’t take you. Grab on to those pages and hold tight. You’re in for one hell of a ride. The one thing that I must say about this collection of stories is how utterly PERFECT the title is. This collection of 14 short stories is Daniel H. Wilson doing what he does best, showcasing the worst parts of humanity in the best ways. He also showcases the best parts of humanity in the worst ways. Some of these stories are bleak, depressing and dark while others are just absolutely creepy. 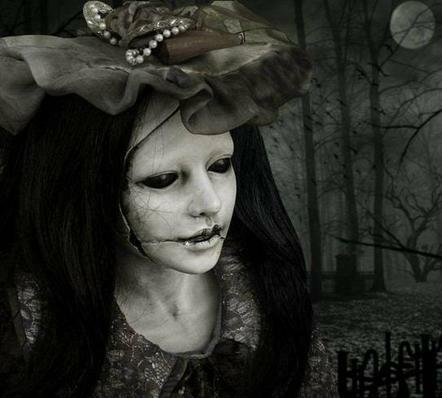 My favorite is “One for Sorrow", which stars the precious, evil, porcelain doll avtomat Elena Petrovna. Elena's story started in The Clockwork Dynasty and I loved seeing her in action again. There is something here for everyone, steampunk, robotics, and monsters all mixed in with hope for humanity. I savored this book, taking months to read it like a child would ration out their Halloween candy. Now that it is over I miss it. Recommends it for: for anyone who likes sci-fi or robots, and short stories. Anyone who knows me knows I love inventiveness, and that's what's on 5 star display here. Not every story in this selection is a full blown winner but most of them are. There is a wry, dark humour in some of these stories, and unlikely courage, and often poignant sadness and tragedy as humanity collides in one way or another with the fruits of their robot/AI offspring. There are stories here that will stay with me and I'm always thankful to find memorable affective writing. Recommended for anyone wh Anyone who knows me knows I love inventiveness, and that's what's on 5 star display here. Who better to write about the potential advancement of artificial intelligence than someone especially instilled with supporting knowledge? That would be author, Daniel Wilson. He'd come well-prepared to the otherworldly gunfights with a PhD in robotics. Armed to the teeth. I was held entranced with an impressive display of his genius that danced through the pages. A well-written narrative of swashbuckling short stories covered the soaring gamut of the author's imagination. An eclectic array of ar Who better to write about the potential advancement of artificial intelligence than someone especially instilled with supporting knowledge? That would be author, Daniel Wilson. He'd come well-prepared to the otherworldly gunfights with a PhD in robotics. Armed to the teeth. An eclectic array of artificially, gifted robots paraded through the storylines. Each conveying its own unique purpose and source of energy and power. Given a front row seat, I was transported to another world. Another planet. Another solar system. Or did I ever leave planet Earth? There was no way to really know. I suppose, in the end, it didn't really matter. The curtain rose. The show began. And I fell into lockstep with the guardian angels and other monsters. An entertaining read. This was the best collection I’ve ever read. I will remember The Blue Afternoon That Lasted Forever for the rest of my life. This book challenged my expectations of science fiction. It’s my favorite genre and now I’ll always want more. Strong start. The story of the undying love and devotion of a nanny robot to his charge. "We will always have the stars." Full on heartrending tear jerking perfection. The story feels like a highly person This was the best collection I’ve ever read. I will remember The Blue Afternoon That Lasted Forever for the rest of my life. Full on heartrending tear jerking perfection. The story feels like a highly personal nightmare. A robot finds out his true nature unkindly but seems to take it in religious stride. A father determined to give his daughter a better life. Here we go with the horror! Enslaved Africans in radioactive hellholes and terrifying machinery. "Oh yes, Mama," she whispers, smiling wide. Oooh shivers I liked that. At first I thought it was going to be another poignant parental devotion tale but the horror slowly crept in catching me off guard. Excellent! The relationship between human actions and the weather are explored by a meteorologist after a shocking experience on a plane. It read like Stephen King story. Sad little story of a boy realizing he is a robot version of a real boy. Freaky zombie horror from the world of Robopocalypse. Not sure if this was an Alzheimer’s death scene or an I’m-about-to-get-a-robot-body scene. First story I didn’t like. Pretty low brow story of a blue collar guy getting attached to little dog like mail robot. A story of Elena in England while Peter was at war in India. Loved it! Now I want to read A Clockwork Dynasty all over again! A special needs kid in the hood builds a robot to gain respect. It was ok. The average rating is 3.7, which is fantastic for any collection/anthology, but I don’t feel that reflects how memorable some of these stories were so I’m adding a star. There are so many things to like about this book of short stories. The writing is amazing and each story really draws you in. Daniel H. Wilson's imagination and the atmosphere he creates (dark, bleak, depressing) is next level, I felt for the characters almost immediately - just fantastic. I was creeped out, teary eyed, horrified, and intrigued. My favourites = The Blue Afternoon hat Lasted Forever (broke my heart), Blood Memory (creepy AF) & Special Automatic. I would absolutely recommend if you enjoy reading sci-fi. "It is very late, my darling, and the stars are in the sky. That means it's time to give you a kiss. And an Eskimo kiss. Now I will lay you down and tuck you in, nice and tight, so you stay warm all night. ... I hold her tight as we rise together into the blackness." "A mama does anything for her babies. She protects that downstream blood, always, because it matters more than her own. When it's all over and we blink good-bye and let go our last breath - it's only our blood that we leave behind." I really enjoyed this anthology! Many of the stories were very emotional, and it on different themes using robots to enhance the messages. Out of 14 stories there was only 1 (Blood Memory) I didn't like, which is awesome for an anthology, or collection really! The rest I loved to varying degrees, with my favorites being "The Blue Afternoon That Lasted Forever", "The Executor", "One for Sorrow: A Clockwork Dynasty Story" and "Special Automatic". One for Sorrow makes me realize I need to read A Clockwork Dynasty! So glad I read this, having picked it up for a group read. It spoke very much to the human and emotional side of things for me, not being too heavy on the science, which I loved personally! I was already a fan, and this did not disappoint! Who doesn't want a robot in tune with them to protect them? I mean really? This was an interesting futurism/tech short story collection. They seemed to start off a bit sentimental, but quickly went more toward Black Mirror-esque horror. Over all these were in the 2.5-3.5 star range, except for a few outliers. - The Blue Afternoon That Lasted Forever: A physicist rushes home to his young daughter as the world is on the verge of chaos, as a specialist how do you cope with fully knowing something those you love won't understand. Really reminded me of the film Melancholia, This was an interesting futurism/tech short story collection. They seemed to start off a bit sentimental, but quickly went more toward Black Mirror-esque horror. Over all these were in the 2.5-3.5 star range, except for a few outliers. - The Executor: A man seeks to claim the prize of a famous estate inheritance, how far will he go to ensure treatment of his chronically ill child. - Helmet: Humanity lives in hiding from warrior robots known as Helmets, but what happens when they are caught? - Blood Memory: A futurist Changeling story. - Foul Weather: A meteorologist views a storm pattern from a plane. - The Nostalgist: An elderly man and his child struggle to replace his implants, he's adamant in needing though the child is unsure why. - Parasite: Military swarm in, but parasites take the bodies of the dead. - Garden of Life: Entomologist wandering in search of new species comes upon a location teeming with potential finds. - One for Sorrow: In the woods an ancient clockwork fay waits, when a man and his apprentice stumble into her home. - Special Automatic: Bullies beware, a boy who is disabled/disfigured builds himself a robotic bodyguard. Dark, but well crafted. "Blue Afternoon" was particularly good. A couple of the stories didn't work for me, but that's a pretty good hit rate for short stories. The first novel I read by this author (a collection of short stories) and it got me hooked. Sublime writing. Excellent work of science fiction. Great collection of short stories featuring robots: creepy, sad, and engaging, with a few touches of humor. 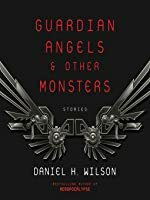 Guardian Angels and Other Monsters by Daniel H. Wilson is a very highly recommended collection of fourteen short stories that examine how artificial intelligence both saves and destroys humanity. The writing is excellent and the stories are well-paced, thoughtful, and emotional. This compilation starts out and ends strong. Guardian Angels and Other Monsters is an outstanding selection for science fiction and short story fans. 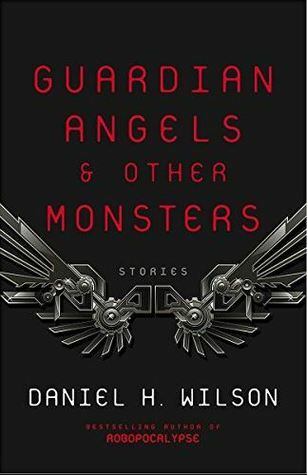 I was captivated by the majority of the stories with the exception of Guardian Angels and Other Monsters by Daniel H. Wilson is a very highly recommended collection of fourteen short stories that examine how artificial intelligence both saves and destroys humanity. The writing is excellent and the stories are well-paced, thoughtful, and emotional. This compilation starts out and ends strong. Guardian Angels and Other Monsters is an outstanding selection for science fiction and short story fans. I was captivated by the majority of the stories with the exception of one story that I liked less than the others, which is a stunning recommendation for any short story collection. Miss Gloria: Chiron is a robot whose life's work is to teach and protect Miss Gloria until she can take care of herself. Miss Gloria knows that Chiron is an excellent playmate and she loves him. In his own way, the machine also loves the girl. The Blue Afternoon that Lasted Forever: After seeing images on the television that only a few people understand the implications of, an astrophysicists rushes home to his 3-year-old daughter. Jack, the Determined: Jack, a most loyal and obedient student, is accompanying the Professor while he delivers a report on his most important scientific work. The Executor: In order to protect his daughter, a man visits the Executor’s office in an attempt to get control of a family inheritance. Helmet: The wordless huge, robotic Helmets appear and show the strength of the controlling Triumvirate by violently stopping uprisings. Blood Memory: A mother is determination to do anything to help her daughter, the first and only human being born to teleportation. Foul Weather: A meteorologist discovers the truth behind the adage: "Foul weather breeds foul deeds." The Nostalgist: An old man tries to live in the past the only way he knows how. God Mode: "In all of this forgetting, there is this one constant thing. Her name is Sarah. I will always remember that. She is holding my right hand with her left. Our fingers are interlaced, familiar. The two of us have held hands this way before. The memory of it is there, in our grasp. Her hand in mine. This is all that matters to me now. Here in the aftermath of the great forgetting." Garden of Life: A taxonomist collects samples when he stumbles across something that he has never seen before. All Kinds of Proof: A drunk is hired to train a mail-carrying robot that he names the Shine and considers him a friend. "[H]e doesn’t judge, doesn’t interrupt, and he goes with me everywhere. When he walks, it makes this nice wheezing sound. His narrow little feet are coated in a layer of tacky rubber and each step lands quiet and smooth. And he always keeps up. The two of us walk together..."
One for Sorrow: A Clockwork Dynasty Story set in England, 1756, and starring the childlike avtomat Elena Petrova. Special Automatic: James is an abused and bullied teen who has a neurostimulator sunk into his brain behind his ear to prevent seizures. Although everyone thinks he is stupid, James is much more intelligent than they realize. The proof is found in the robot he built and named Special Automatic. Technology, science, and humanity collide in Daniel H. Wilson's newest, a collection of shorts featuring bits and pieces of all three of those subjects. In the opening tale, "Miss Gloria", a robot does its utmost best to save the child it's been created to teach and protect. In "Helmet" a boy learns the all too horrific truth about the electronic monsters that plague his world. "Parasite: A Robopocalypse Story" brings us back to the world of Robopocalypse and "One For Sorrow: A Clockwork Dynasty Technology, science, and humanity collide in Daniel H. Wilson's newest, a collection of shorts featuring bits and pieces of all three of those subjects. In the opening tale, "Miss Gloria", a robot does its utmost best to save the child it's been created to teach and protect. In "Helmet" a boy learns the all too horrific truth about the electronic monsters that plague his world. "Parasite: A Robopocalypse Story" brings us back to the world of Robopocalypse and "One For Sorrow: A Clockwork Dynasty Story" brings us back to, you guessed it, A Clockwork Dynasty! The book is a mix of previously published pieces and pieces new to the collection. "The Blue Afternoon That Lasted Forever", which finds a father racing home to be with his daughter as a disaster he's one of the few to recognize looms, appeared in Carbide Tipped Pens. "God Mode" appeared Press Start to Play, and the aforementioned "Parasite" actually appeared in 21st Century Dead. Altogether, it's a really fantastic collection. Some of the tales are poignant and touching. Others are downright scary. All of them are utterly thought provoking and wonderful. I should note, too, that this is the first time Wilson's shorts have appeared together in one place. If you haven't read him before, this is a great starting place. And if you're a longtime fan, this is definitely a must have for your collection! "The Blue Afternoon That Lasted Forever"
"One for Sorrow: A Clockwork Dynasty Story"
Excellent collection of short stories with robots - computer and steampunk variants - as a unifying motif. Thoroughly enjoyed the scene setting and various incarnations of artificial intelligence. Worth a second read for the finer detailing. I loved the first story so much that I wanted to buy the book for a friend. But as I progressed through, it started to feel like a slog. I didn't give up on the book because some of his ideas are so interesting to me, so this gets 3 stars. I have not enjoyed a book of short stories as much as I enjoyed this collection in a very long time. Loved them all! As with all short story collections, some are better than others, but I've always had and always will have a weakness for stories about the evolution of AI and it's evolving place in our lives. Maybe not the best story to start with - it's a little slow despite the danger inherent in the kidnapping story line, and the robot never really developed any personality traits other than "devoted to Miss Gloria." But it could have been a good exploration of how the rich will use AI and robo As with all short story collections, some are better than others, but I've always had and always will have a weakness for stories about the evolution of AI and it's evolving place in our lives. Maybe not the best story to start with - it's a little slow despite the danger inherent in the kidnapping story line, and the robot never really developed any personality traits other than "devoted to Miss Gloria." But it could have been a good exploration of how the rich will use AI and robots to replace traditional roles. A beautiful exploration of fatherhood, devotion, and love. Honestly a little confusing. It's clear that Jack in an artificial human, but it's not clear if he knows, or if he's the first of his kind, or if he was programmed to be so deterministic, or really anything else. Action-packed and tense - a classic pulpy sci-fi story. Almost, but not quite, five stars. Really reminded me (stylistically and thematically) of Paolo Bacigalupi, in that this is a terrifyingly realistic future where, truthfully, there's not much an average citizen can do about it. People live in segregated ghettos in fear of the Helmets who come and kills them wantonly and randomly, with a beautiful last line: "At last, I am ready to sin." An interesting view of teleportation and how there's always the issues of the intangible (and/or souls). A really interesting musing about bad weather and bad actions - not sure exactly how it fit into the theme of the collection (hence the removal of a star) but a good read nonetheless. Another one reminiscent of Paolo Bacigalupi, but this time in that, amidst all the horror and terror of the future, there is still love, devotion, and family, no matter the form. An old man recreates a younger, much-loved relative, and even though it appears monstrous, their mutual love is beautiful. If you haven't read Robopocolpyse, I don't think you'd enjoy this story very much, since it needs a fair amount of background knowledge. But since I have, I found it poignant and sad. A good little story about how everyone will have to change their opinion of what's "natural" or even alive when technology is so far advanced. Humans will connect with anything, even little robots who can't even speak and who's sole job to to walk around. And that connection is exactly what this quasi-homeless, hopeless drunk needs. A possibly mentally disabled boy in a bad neighborhood builds himself a robot to protect him and becomes the one to be feared. Not bad, but probably wouldn't have suffered if it was a little longer. You know how it is with any short-story collection – there are ups, downs, the “what the heck even? ?” stories. The over all tone of this futuristic sci-fi collection was fairly AI-themed and dark. Not surprising, given the title, but it started off with the lighter stories, and I got fooled before it shifted tone. Overall, I’m afraid I’d give the collection one star. Many of the stories were too crude for my taste. Some of the stories seemed needlessly obtuse; I’m all for mystery and mystique, b You know how it is with any short-story collection – there are ups, downs, the “what the heck even? ?” stories. The over all tone of this futuristic sci-fi collection was fairly AI-themed and dark. Not surprising, given the title, but it started off with the lighter stories, and I got fooled before it shifted tone. Overall, I’m afraid I’d give the collection one star. Many of the stories were too crude for my taste. Some of the stories seemed needlessly obtuse; I’m all for mystery and mystique, but I’ve been trying lately to distinguish between well-written mystery and simply leaving story out. Helmet, for one, had some moving moments and some creepazoid moments, but overall would have been more powerful with a bit more explanation. Stories I particularly liked: The Blue Afternoon That Lasted Forever, and Miss Gloria. They’re both family-focused and early in the anthology, which led me to think Wilson would be putting this new spin on the sci-fi scene throughout, but that turned out to be a red herring. Miss Gloria is about a tycoon’s kidnapped child and her robotic guardian. It managed to convey both the ‘good side’ point of view, with Gloria’s terror and her trust in her guardian, and the ‘bad side’ ‘s point of view, creeping horror as the robotic mind leaps from device to device, ready to follow them across the earth. The concept was really neat (that seems a bit more important in science-fiction short stories that focus on a single new invention), and as said before I also really loved the juxtaposition of the futuristic AI and the simple fear of a stolen child. The ending was… quite odd, though. The Blue Afternoon That Lasted Forever was simply touching. It’s sort of a pre-apocalypse story, about an astrophysicist who realizes the end of the world is coming (in the form of a moving black hole) too late to do anything about it, and rushes home to spend one last afternoon with his little girl. These sci-fi stories take place in high tech worlds, but the real focus of the stories is on human emotions and relationships, often in hopeless circumstances. Some of the stories were a bit heartbreaking ('Miss Gloria'), some were thought-provoking ('One for Sorrow: A Clockwork Dynasty Story'), and some were horrifying ('Helmet'), but I found all of them were gripping to some extent. FYI, those horrifying stories get a little graphic, so if you're sensitive to that sort of thing, you may want to pass on this collection. The only story I had a bit of trouble following was the one set in the 'Robopocalypse' world. I think I was just lacking the background knowledge of the world, and missed some references as a result. I have to say, Daniel H. Wilson is probably one of my favourite science fiction writers ever. And definitely my favourite author of those kind of futuristic robot apocalypse kind of stories. Ever since I read Robopocalypse and Amped, I've struggled to find someone who matches up to him. All the stories in this anthology are based around that kind of futuristic view. A few don't contain robots as such, but instead a vision of possible technology. And all bar one (All Kinds of Proof) gave me some seriously sinister vibes. None are apocalyptic as such, but they felt like they foreshadowed some form of apocalypse. And given that scientists have just unveiled that artificial intelligence Sophia, everything is lent an even creepier aspect (have they not read about what happens when you create artificial intelligence????). I enjoyed all the stories in this anthology. They all worked as proper standalone short stories as well, which I find sometimes can be a problem in anthologies. Often the scope of the story can be too large for the length of it, but that was not the case here. Guardian Angels & Other Monsters represents my first foray into Daniel H. Wilson's work, and after having gone through Jo Walton's Starlings s I'm beginning to see a pattern: I spot books I might like to read but don't quite have the time to at present, and instead I end up reading short stories by the same author since I can polish them off between essay submissions and group projects and work and bed. Having not yet found time for Robopocalypse , and yet knowing it's likely now to be boo Guardian Angels & Other Monsters represents my first foray into Daniel H. Wilson's work, and after having gone through Jo Walton's Starlings s I'm beginning to see a pattern: I spot books I might like to read but don't quite have the time to at present, and instead I end up reading short stories by the same author since I can polish them off between essay submissions and group projects and work and bed. Having not yet found time for Robopocalypse , and yet knowing it's likely now to be booted (finally) out of Hollywood's/Steven Spielberg's development hell (by none other than *explosions everywhere* Michael Bay), I have at last succumbed to the subtle self-pressure to catch up on what might be the next hot thing in science fictional adaptations. Whatever you think about Spielberg's decision to pawn this project off on Bay, one has to admit there's something almost tantalizingly noisy about the whole prospect. This collection of 14 stories is a mix of alternate realities, apocalyptic environments and near future possibilities. All of the stories involve technology in some way, with many focusing on robotics or artificial intelligence (the first story, “Miss Gloria” is an impressively creative account of AI following its protocol). And, in the fashion of Black Mirror, most of the stories have dark endings – and some are dark pretty much the entire time (“Helmet” is a good example). Overall, this is a we This collection of 14 stories is a mix of alternate realities, apocalyptic environments and near future possibilities. All of the stories involve technology in some way, with many focusing on robotics or artificial intelligence (the first story, “Miss Gloria” is an impressively creative account of AI following its protocol). And, in the fashion of Black Mirror, most of the stories have dark endings – and some are dark pretty much the entire time (“Helmet” is a good example). A Cherokee citizen, Daniel H. Wilson grew up in Tulsa, Oklahoma. He earned a Ph.D. in Robotics from Carnegie Mellon University in Pittsburgh. He lives in Portland, Oregon.